Nostalgia has always been advertising's happiness grenade, but brands will need to do more than just reference the 1990s to win over difficult millennials. Anthony Burgess’ dystopian novel, A Clockwork Orange, opens with teenage protagonist Alex drinking a glass of milk "plus something else". There is no drug-fuelled Korova Milk Bar in real life, but if there was, and if it were given a marshmallow makeover, it might look like Shoreditch’s Cereal Killer Café. It too serves up childhood in a bowl for grown-ups, though a visit is less likely to result in a violent night on the tiles. Founded by twins Alan and Gary Keery, the café offers 120 types of cereal with 20 topping variations, starting at £2.50 a bowl. It opens from 7am to 10pm, meaning staff serve commuters, drunkards, and everyone in between. 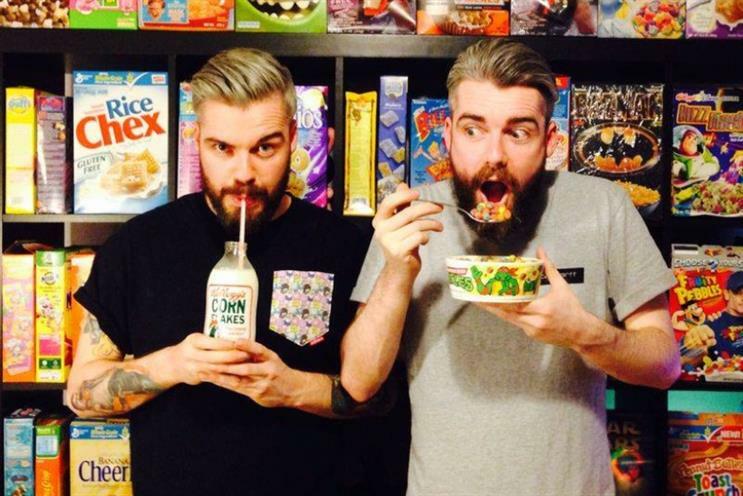 After an unlucky encounter with Channel 4, Cereal Killer Café was branded as a hipster stereotype. And yet, the café’s popularity suggests the concept is smarter than that and tapping into something bigger brands might be missing. The idea, as told by the Keerys, came from their wandering hungover around Shoreditch looking for something to eat, ideally cereal. And why not? Pret, Costa and Starbucks all serve various wallpaper pastes that pass for porridge, but none offer Kelloggs. "It’s a meal people eat every day of the week, but only at home, and we thought there was a great business opportunity," Alan Keery told Marketing. "We didn’t want Cereal Killer to be like a Starbucks, cereal is something people have loved since childhood, so we wanted to bring that back. We’ve got a lot of vintage furniture and memorabilia, and even the colour scheme is based on a bowl of Lucky Charms." Even if you despise the concept of an eaterie this niche, it’s hard not to admire the twins’ attention to detail and branding. The café’s logo is based on the Dymo label maker font, while re-runs of Nickelodeon’s Clarissa Explains it All air on wall-mounted TVs. There’s a ‘cereal museum’ downstairs displaying the rubber pencil toppers and bike reflectors that came free in cereal packets. Of course, it’s possible to over-intellectualise what is essentially a celebration of cheap childhood tat. But Adam Bracegirdle, creative director at media and advertising powerhouse Vice (pictured right), believes businesses such as Cereal Killers play to the millennial love of arcane reference, and that big brands should take notice. This "TiVo generation", as he calls it, is the first to grow up with the internet. A constant onslaught of information means they have become picky over which sources and channels to trust, and they won’t passively consume advertising. Unlike their parents, they rely less on the one-to-many flow of information, with social media platforms instead promoting a more democratic sharing of ideas. He told Marketing: "This generation lives in a daily ritual of contradiction. They get opposing world views from multiple sources. The casualty of that is trust in all sorts of things, such as institutions, governments and, mostly, big brands." According to Bracegirdle’s theory, millennials perceive that big brands cannot be trusted to say anything original, at a point when originality has become the leading currency. That means their marketing looks increasingly ponderous and out-of-touch. Connected to this is the fact that, in the late 1990s, British millennials grew up at a time of stability but went on to feel the 2008 crash reverberate through their late teens and 20s. That has had a two-fold impact on their consumption habits – conspicuous luxury is no longer fashionable, and childhood genuinely does represent the good old days. That makes convincing nostalgic experiences, such as Cereal Killer Café, appealing. And if the hard-up millennial does spend their cash on something, then it had better have something clever to say. According to Bracegirdle: "We’ve noticed, on a commercial level, it’s not just the product you wear, but the information you consume. "It’s as if millennials are more interested in control over information - so the story behind your jacket, the statement of your logo, the concept behind your shop." For Cereal Killer Café, that’s all in the detail of the Dymo printer font and the Lucky Charms décor. Bracegirdle added: "Big brands need to learn how to pull off the reference, and how to talk authentically about what seems tangential at first." Some big brands have already worked this out, jumping on a kind of authenticity bandwagon. The Keery twins proudly showed Marketing their own personalised boxes of Rice Krispies, sent as a gift by Kelloggs. The brand replaced cartoon mascots Snap, Crackle and Pop with headshots of the Keery brothers. Not to be outdone, Nestle sent the twins a personalised box of Shreddies on the morning of Marketing’s visit. 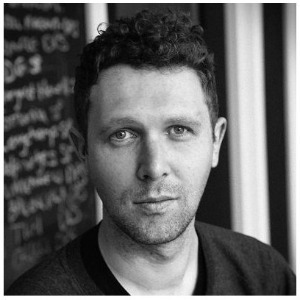 Fabien Riggall, founder of Secret Cinema, also believes immersive nostalgia offers brands a more convincing route to consumers than advertising. 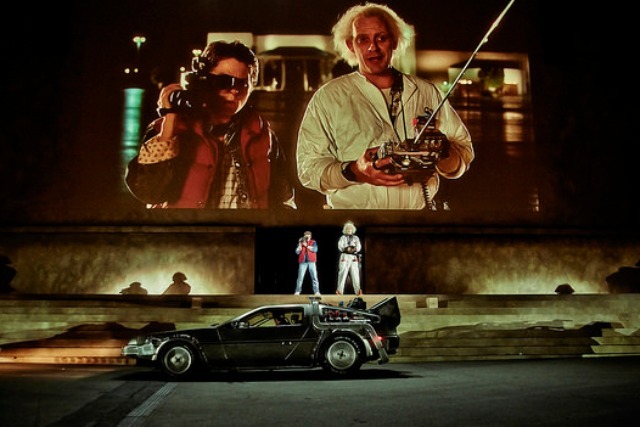 The premise behind Secret Cinema is immersive film screenings, which require attendees to dress up as characters and complete themed tasks. Secret Cinema has worked with around 15 brands, including Virgin Atlantic, Stella and Bushmills, incorporating products and experiences into the events themselves. Riggall said: "People are absolutely desperate to connect, and to feel experiences in this age where we’re constantly bombarded with information on what’s cool and what’s happening. "They want an adventure, so the things that remind people of their childhood, where they can become children is a massive part of this." According to Riggall, immersive advertising is more convincing for consumers than what he calls branded "cathedrals of culture", such as the O2 arena. He said: "People want to have experiences with integrity, in which they feel connected and not sold at." Not everyone believes the arrival of the Shoreditch cafe and Secret Cinema can be yoked to nostalgia. 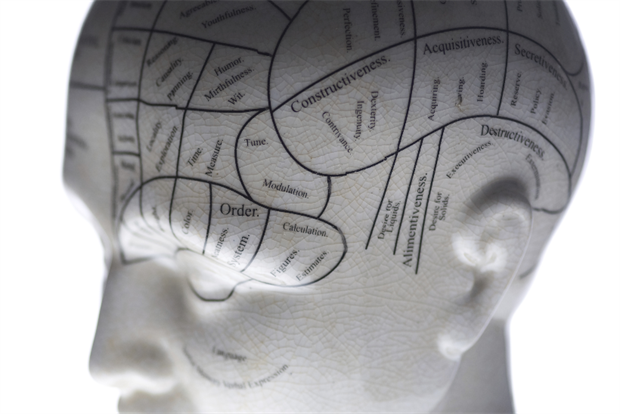 Callum McGeoch, creative director at youth marketing agency Livity, sees both as a different kind of trick, one that takes something mass-produced and makes it palatable. He points to the gourmet-fication of fried chicken and burgers, and the popularity of cheese nights such as Guilty Pleasures. He said: "It’s about reconceptualising something mass, or that’s gone beyond being acceptable, and making it acceptable. "It’s why raging East London hipsters can think it’s really cool and fun to dance to Bonnie Tyler in a grime club, it’s all layers of irony, because underneath they secretly love it." One reason for this, according to McGeoch, is that "there is no underground any more". This is the idea, put forward by product strategist Jenka Gurfinkel, that the internet has killed counterculture, with alternative communities unable to develop new ideas before they're picked up by a trend-spotter scanning Tumblr. When new movements lived offline, they had time to germinate. Now they reach a mass audience before they have formed an identity. McGeoch said: "The sub-cultures are harvested like veal before they can mature. The very people who have started these trends then no longer want to be part of them, so they die." "The new manifestation is forming a counter-culture that is counter-intuitive and taking things everyone else hates and adopting those. Then you’re safe for a while." Unfortunately for big brands, it isn’t easy to keep up either with arcane references or an ironic love of naff. The ultimate symbol of all that is mass-produced, McDonald’s, has struggled to market to millennials in recent years, reporting tanking sales. It opened a ‘hipster café’ in Sydney in December called The Corner, a minimalist take on its usual red-and-yellow glare. Branding is minimal, and food is served artisan-style on wooden boards. This might be the company’s most concerted effort to win over a younger audience to date, after it tested out a build-your-burger concept and trademarked ‘McBrunch’, in an effort to ape trendier eateries. Back at the cereal café, the Keery twins are planning to open their second café in Camden later this year, and considering franchising as far afield as Colombia. A spokesman for the café’s agent, Kruger Crowne, noted that the pair had all the components of a "very successful commercial brand". A sceptical marketer might dismiss cinema-themed dressing up or eating cereal as infantile, and they wouldn’t be the first. But according to Bracegirdle, it’s all in the story. "Small niche brands are taking over, because they care about their story and are passionate about the thing they’re doing. That’s the ultimate turn-on for a millennial."